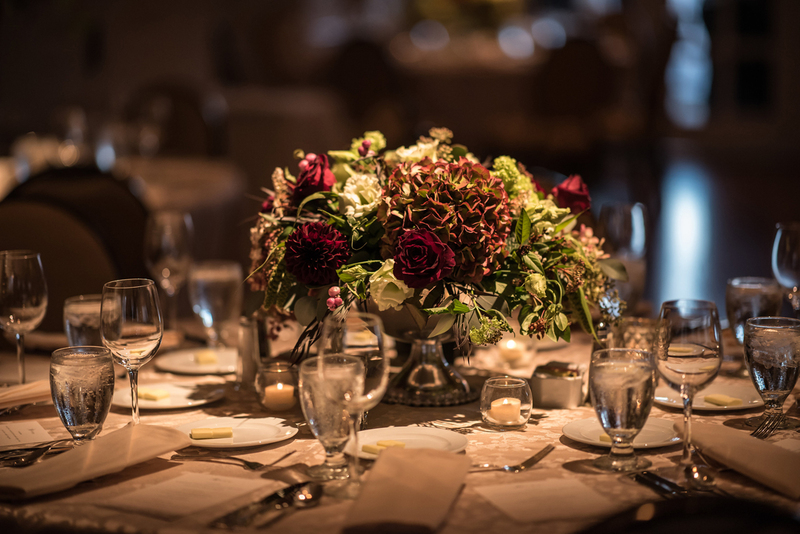 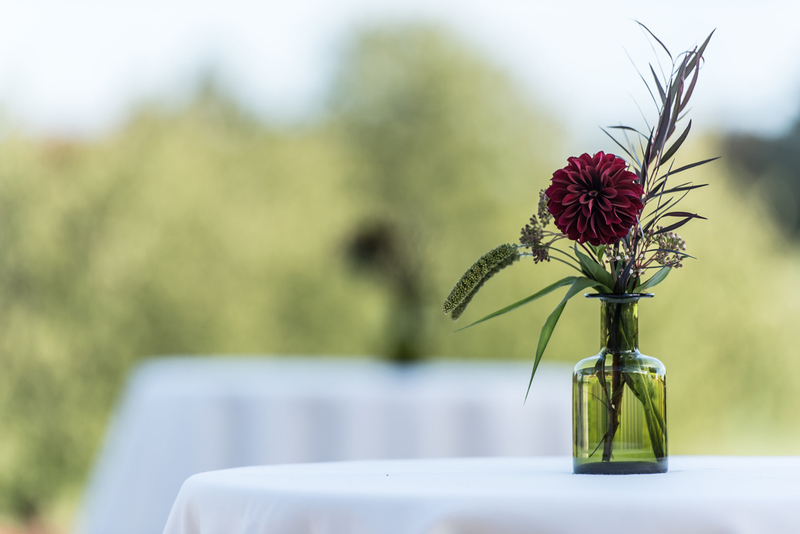 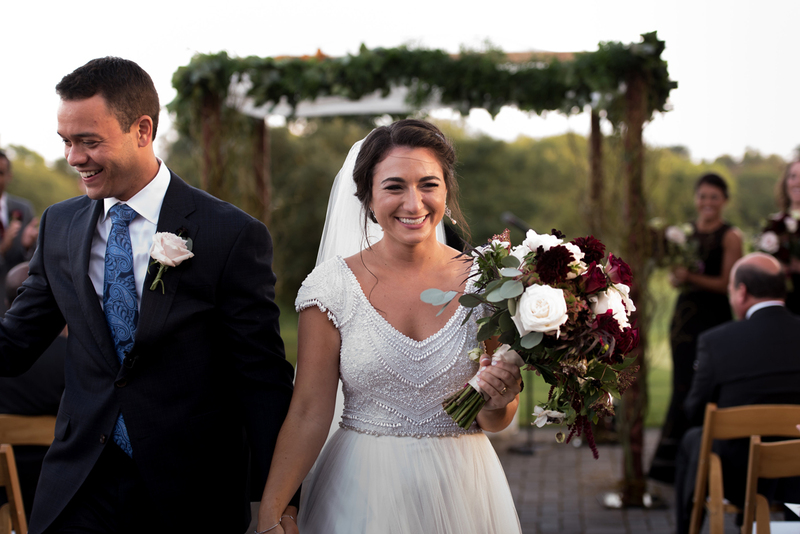 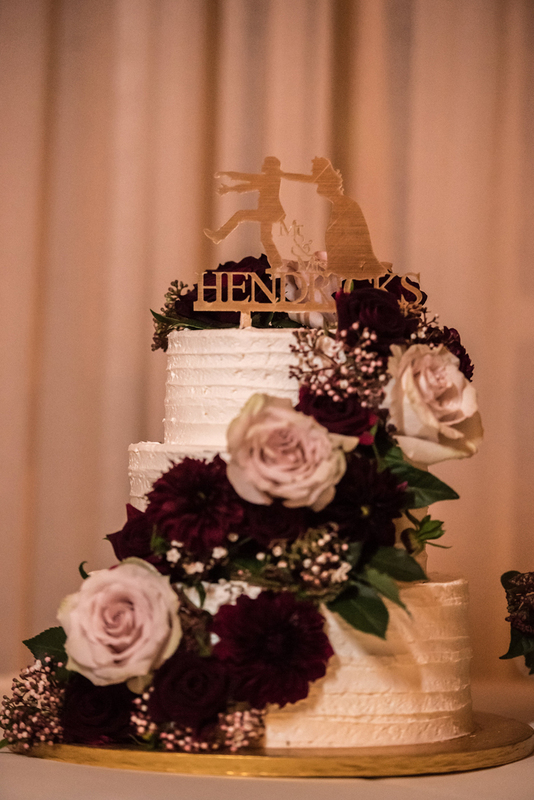 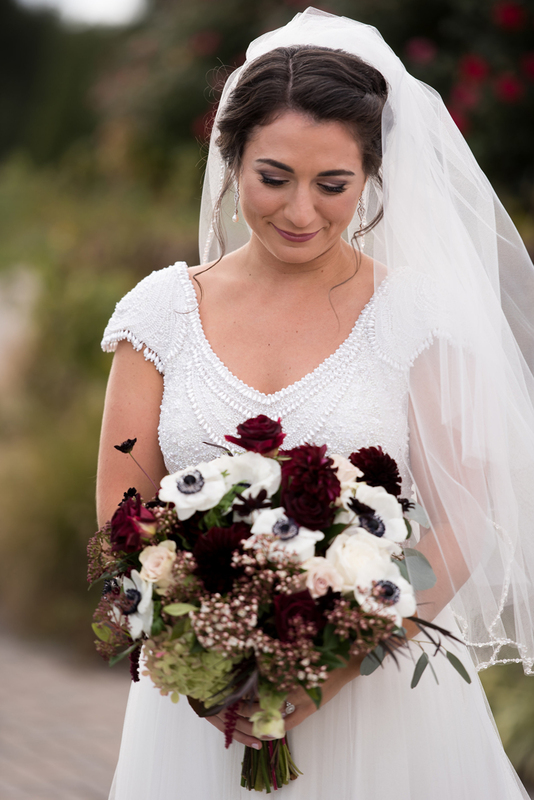 Bold burgundy met chic sophistication during an October wedding. 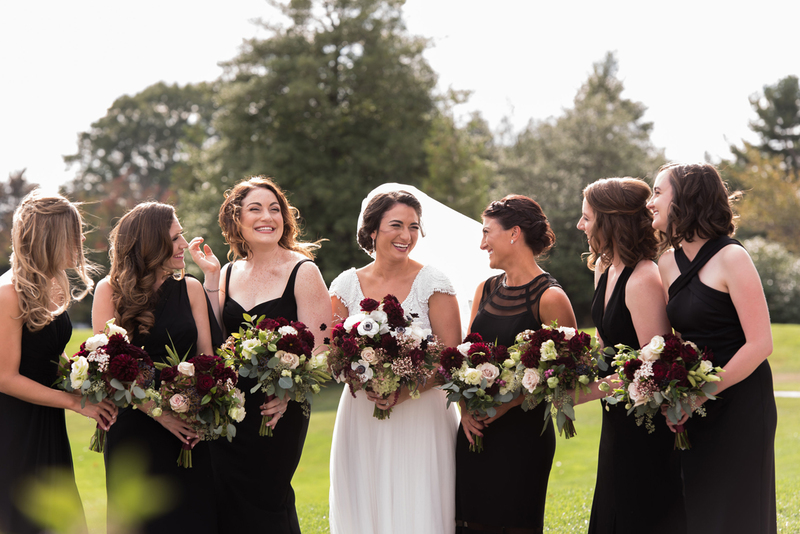 The Fall Season was ideal for this outside ceremony. 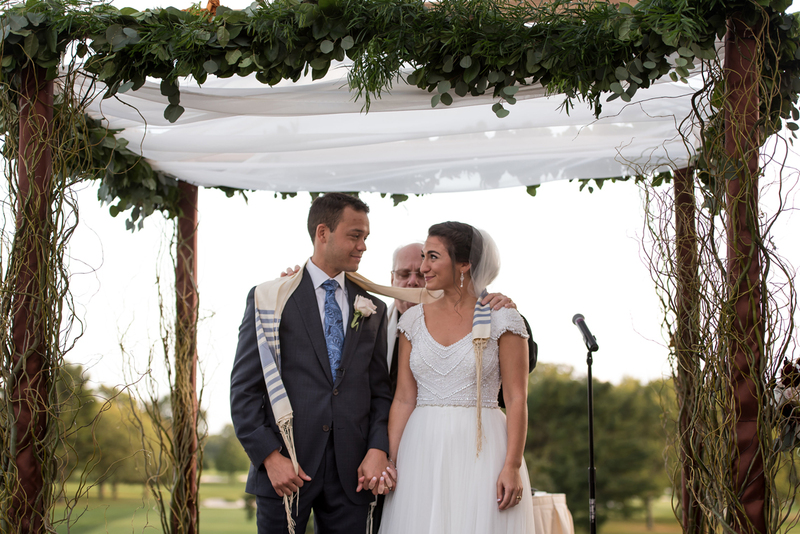 The Chuppah was dressed with curly willow, an abundance of eucalyptus swag and an airy white chiffon top. 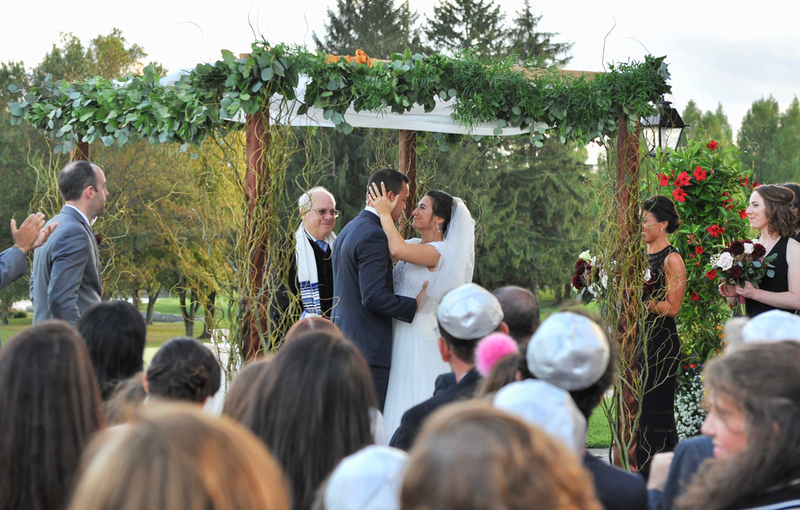 It framed the couple in a whimsical way as they followed traditional attributes to their religion and to one another. 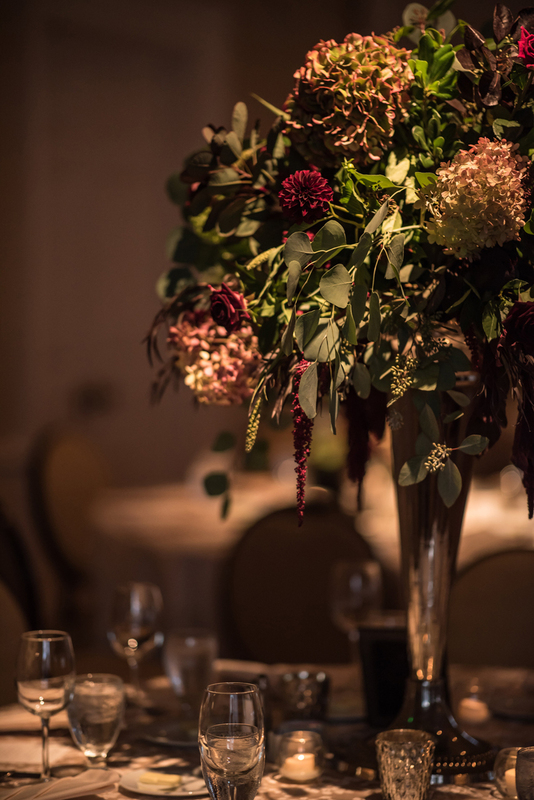 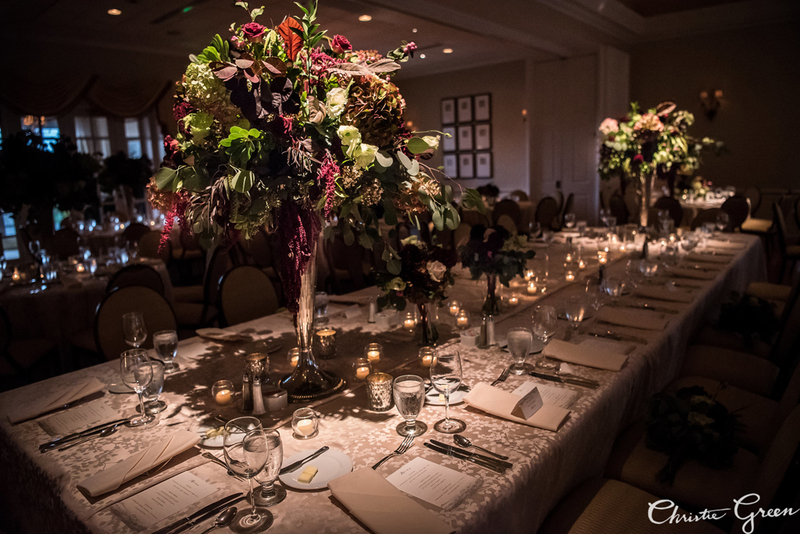 The rich colors of the antique hydrangea, burgundy dahlias and the accents of anemones with natural greens took over the Ballroom of the Country Club. 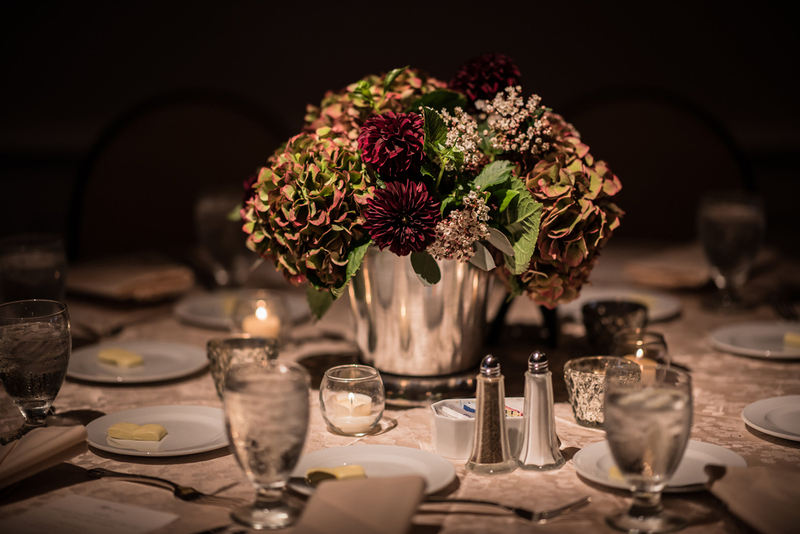 The high centerpieces were designed in a classic silver trumpet vase and the low styles were in a couple styles of silver brushed containers. 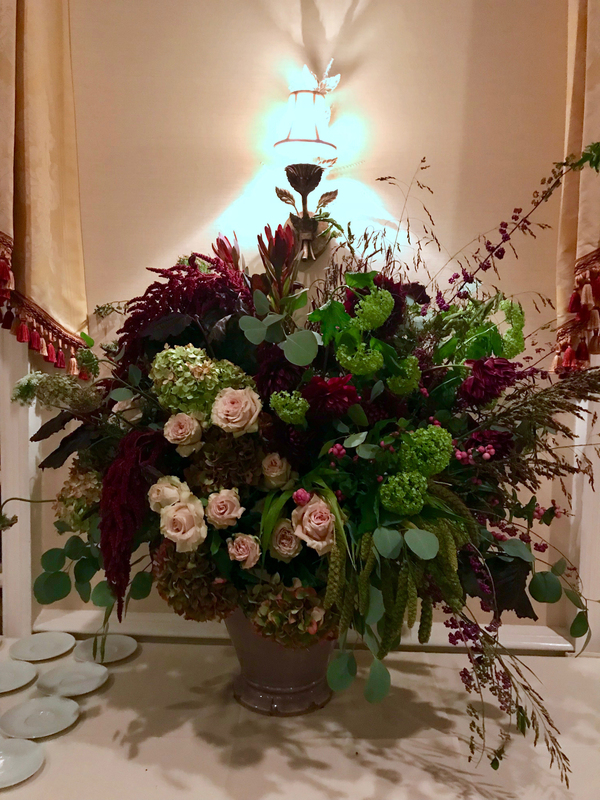 All florals reached a boastful look with tasteful accents.